Time for that amazing Star Wars Holiday Special Live Chat. A show which Carrie Fisher described as “a punishment from God.” – 8 out of 10 Cats 2016 Christmas Special. Originally recorded live in Mos Eisley, which no longer exists. Just a couple of weeks ago, I didn’t know anything about Doctor Who. But I was intrigued by this series. So when I had an occasion to get the Series 6 on Blu-Ray, I jumped on it. But where to start? Would I have to watch 5 full seasons before enjoying Series 6 like it’s suggested here ? The task seemed too big for me. But Scifi.Stackexchange saves the day again! Someone asked “Which episodes of the new doctor who series are required viewing before starting series six?”. After reading the only answer of this question, I decided to go with Silence in the Library and Forest of the Dead from series 4, and then watch the complete series 5. Those 2 episodes from series 4 are a wonderful introduction to this universe. It get just enough mystery to urge you to continue. I feel the show suffers from a little slow down in the first episodes of Series 5, and the transition to the new Doctor is a bit rough and confusing. But once I got through this and watched 2 or 3 episodes, I was completely hooked. The way characters are introduced makes me feel really concerned about what happens to them. Amy, the last Centurion, and River are strong, engaging characters I care about. At the end of each episode I just cannot leave them there without watching another. Before I noticed it, I had watched all the episodes up to the season 6 finale. And now I think I will go back to Series 1 to see what I have missed. In retrospect, my main concern as a newcomer to Doctor Who was about being lost in the middle of a universe I cannot understand because there are too many unexplained things going on. I could assure you I did not feel like that. 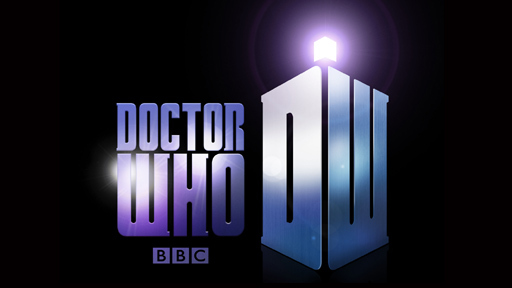 If you want to introduce yourself to Doctor Who, and don’t want to start to the beginning, I suggest you do as I did, there will be time to go back if you enjoy the show.